Bloggers go through so many fazes before an article is published. It’s not just a matter of writing a draft and posting it to the blog. The readers are expecting a polished article, free of grammar and spelling mistakes and it has become customary to keep up with these standards. Here are 7 proofreading tips bloggers should follow. Many people find it easier to read from paper, than from a screen. This is why hard copies of books are still so popular. For some reason, we seem to pay more attention to what we are reading if we can actually feel it. Print out a copy of your article and read it to yourself. You cannot down any changes you need to make to your article. This is also a great way of protecting your eyes from the computer screen. Sometimes your eyes might miss something that your ears can pick up. Read your article out loud and you will notice a difference in your proofreading process. If you are speaking to a friend and that friend makes a mistake in the way they speak, you are more likely to notice the mistake, but our eyes can easily deceive us. When you read your work backward, you pay a lot of attention to every word because there is no flow or storyline to follow. This is a great way to pick up on spelling mistakes. If you need to read a lot of content, use a word to page converter to hit your goal. Now you can focus on the writing word for word. It is a very effective way to proofread. One of the biggest mistakes bloggers do while proofreading, is to have lots of other things going on at the same time. You have to actually put time aside for this step and be completely focused on what you are doing. If not, you might be wasting your time and miss mistakes. Schedule you proofreading sessions or hire one of the best proofreading services if you do not have the time. 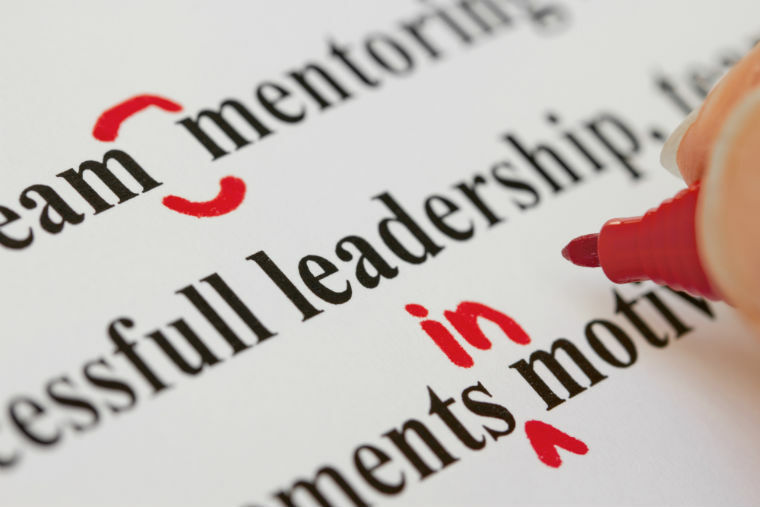 It is important to focus on grammar and spelling mistakes, but pay attention to the smaller elements of your writing. If you are able to improve or correct anything, this is the time to do it. You can also find a proofreading generator online, which will suggest some alternatives or corrections to these mistakes. Your mind can only handle so much information at once and it is important for you to take regular breaks. Even if it is for a few minutes, step away from the writing. You want to be able to look at every word with a fresh mind and give your best. It is going to be very challenging if you are sitting there with tired eyes and no level of concentration. Do not waste your time continuing past this point. Refresh quickly and come back to your proofreading. After you’ve proofread your work, I suggest you go over it a second time. You can ask a second party to look at it when you reach this point. It is surprising how many small errors you pick up on your second round. This is almost like a safety net and after your second proofreading session, you will feel more secure in what you are presenting to the world. Do not be too hard on yourself and remember that sometimes we miss small mistakes. Life is still going to continue and you should not let it bring you down. Take your time and do not rush the process. The great thing about proofreading is the fact that you can enjoy your own writing. Unless you do this as a business or career of course. Over time, you will start seeing how your articles evolve, the writing improves and your mistakes become less. Being a blogger is not always about producing perfect work, but it is important to show your audience that you took extra time to polish your work for their benefit. very useful informations thanks for sharing………………..